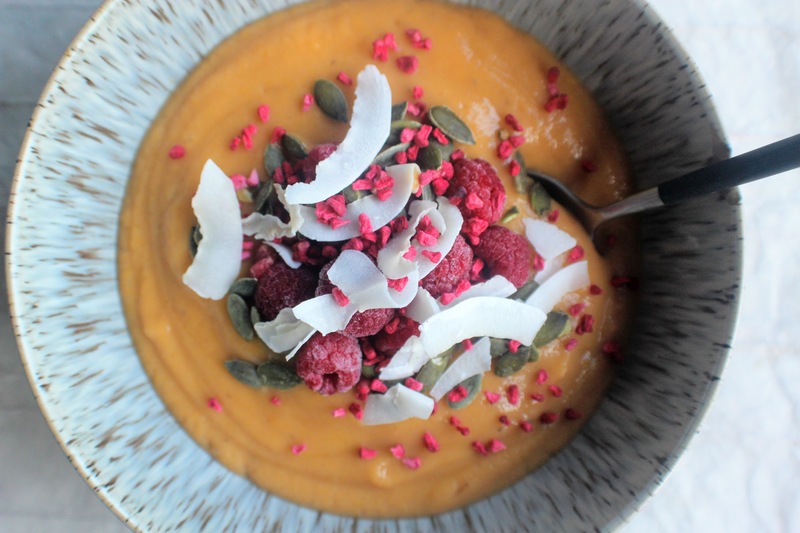 I’m sure many of you will be keen to up your intake of vitamins and minerals at this time of year when colds and flu are rife, or if you’ve had an indulgent festive period which might have resulted in less sleep, more alcohol, not eating as well as usual and not exercising as much. 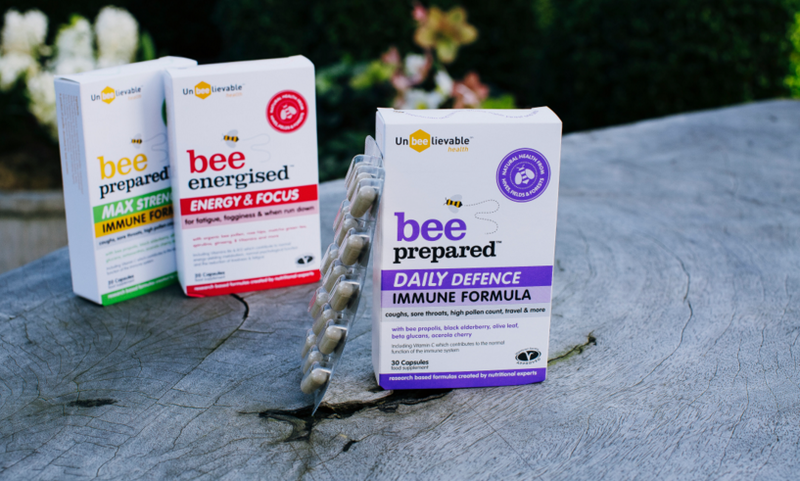 Of course, January is all about getting back on track with your health and fitness regime so what better time to introduce you to Unbeelievable Health and their Bee Prepared Max Strength and Daily Defence Immune Formula supplements. These products are formulated with plant based nutrients with proven benefits which are not usually found in a regular diet or multivitamin, making them a great way to boost your health no matter how well you eat. 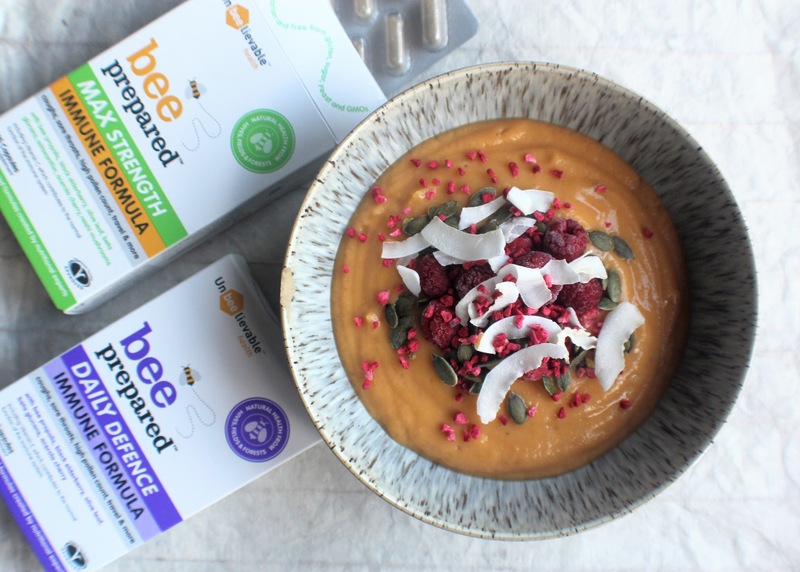 Both the Bee Prepared Max Strength and Daily Defence contain bee propolis, black elderberry, olive leaf, beta glucans and acerola cherry plus Vitamin C which contributes to the normal function of the immune system, so whichever you decide to incorporate into your normal diet will certainly work its magic. I can honestly say that as as someone with a weak immune system (despite leading a super healthy, active lifestyle) and prone to catching sniffly colds, while taking one of these a day over the Christmas period not one cough or runny nose affected me. Even after I’d got through both packs (I didn’t take both on the same day) I felt like my body was strong enough to attack lingering lurgies flying around, whereas in the taking past normal multivitamins hasn’t prevented and bugs so I’m rather impressed. 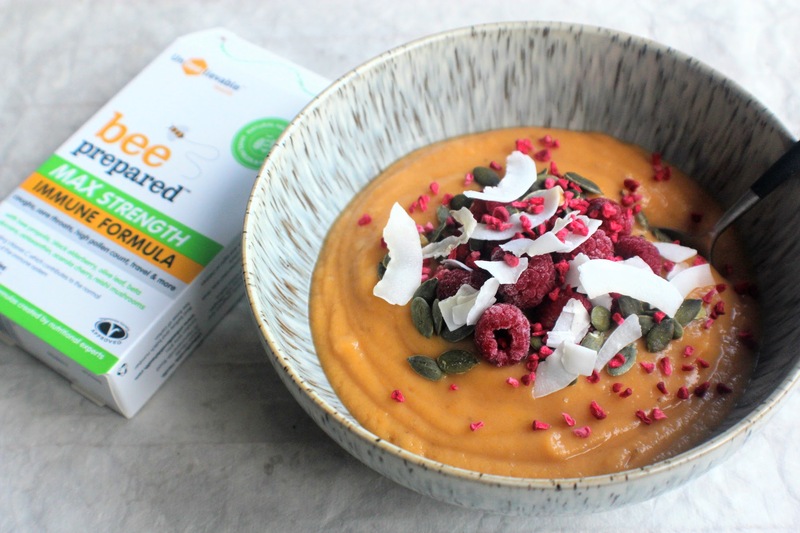 Simply place all of the ingredients into a blender (carefully break open the Unbeelievable capsule and pour the contents in). 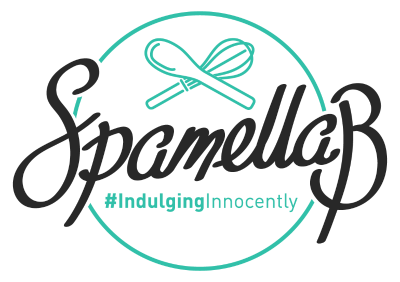 Now whizz up until smooth and fairly thick. 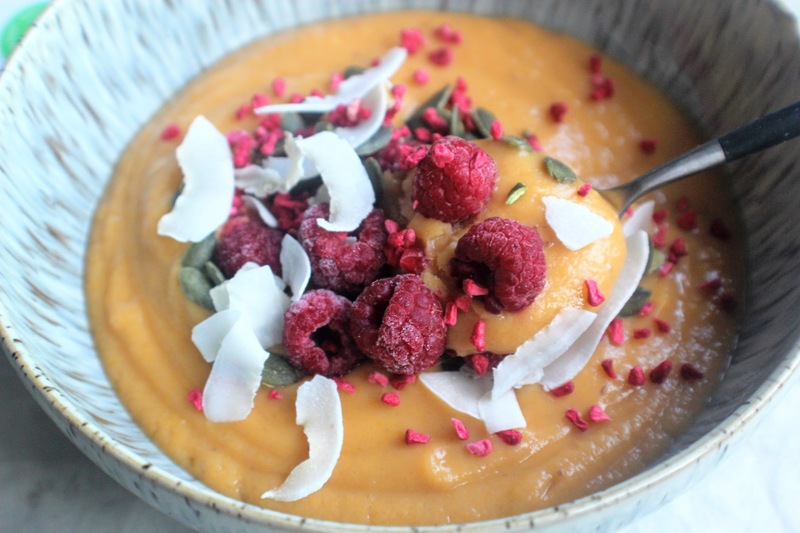 Pour straight into a bowl, decorate with your toppings to make it look pretty for that Instagram snap, then enjoy!